Any time I evaluate a receiving prospect I consider multiple factors. Many analysts look at production, others calculate the metrics, and some study the film. I weight it all. Each player needs to be analyzed outside of the box. If the numbers told the whole story, we wouldn’t miss on so many prospects. Maximizing a players skill set matters. Julian Edelman is an undersized wide receiver with an underwhelming 40-yard dash that played quarterback in college. How could we have seen his effectiveness as a receiver coming? Well, he’s got an Agility Score in the 99th-percentile, which weights a player’s 3-cone drill and 20-yard shuttle evenly to evaluate quickness. That might not help Edelman excel on the outside thanks to his size limitations, but it makes him the perfect fit for a slot role featuring quick-outs and rub routes. The Patriots saw his potential and maximized it. It’s why they went out and got Brandin Cooks this offseason, whose Agility Score ranks in the 98th-percentile. So what does the athletic profile tell us about Corey Davis? Unfortunately, the metrics can’t tell us much. Davis’ ankle injury sidelined him throughout the Combine process and we are forced to weigh what we see on film and on the stat sheet. Fortunately for Davis, the film pops and the stats are unprecedented. But we already covered that in our Draft Profile, so let’s take a look at some other angles that evidence why Davis has titanic upside now and in the future. One of the bigger knocks on Davis is his competition in college (or lack thereof). He played in the MAC; hardly the level of competition we see in the ACC, Big 10 or SEC. But that doesn’t mean he never faced major conferences. In fact, he went head-to-head with a Big 10 opponent nine times in his career, accumulating 52 receptions for 701 yards and 5 TDs, averaging 6 grabs for 78 yards in those contests. This included notable performances against Wisconsin (6-73-1), Michigan State (8-96-1) and Michigan State again (where he erupted for 10-154-1). Corey also broke out at a young age, hauling in 67 receptions for 941 yards and 6 TDs as a freshman. The aforementioned 8-catch effort against Michigan State was actually the first game of his collegiate career. As an encore, he came out the next three seasons and eclipsed 1,400 yards and 12 TDs (at greater than 15 yards per reception) each season, en route to the record books. With that kind of production right out of the gates, one could argue Corey was a phenom. Marcus Mariota is entering his third season, coming off a brutal injury but an excellent sophomore campaign. The Titan threw for 3,426 yards, 26 TDs, and 9 INTs while rushing for 365 yards and 2 TDs as well. In a scheme centered around the running game without a true No. 1 wide receiver, Marcus was one of the most efficient quarterbacks in the NFL. He ranked in the top-10 for red zone completion percentage for the second straight year and he only stands to get better working with one of the better red zone threats the college game has ever seen in Davis. 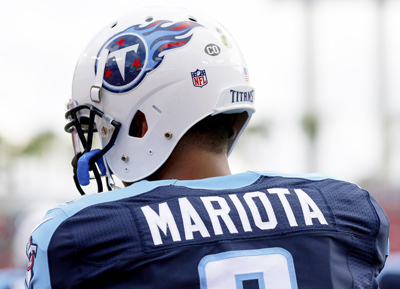 For his career, Mariota has 33 touchdowns and ZERO interceptions in the red zone. Staggering. He also completed 42-percent of his throws 20 yards or more downfield, 8th best in the league. Efficiency aside, we are starting to see what Mariota is capable of from a fantasy perspective. Between weeks 5 and 12, he averaged 24.8 fantasy points per game, including seven QB1 performances, three of which were top-3 finishes for the week. An excellent run game and productive tight end play, means the Titans can attack defenses in many ways around the red zone. It clears up passing lanes for Mariota, which has led to a blemish free career in the red zone to date. Corey Davis adds another weapon to Tennessee’s arsenal. He caught 52 touchdowns in four years at Western Michigan – good for the second most in Division I FBS history. With Mariota’s decision-making and a running game that demands respect, Davis should have ample opportunity to produce in the red zone. Red zone production means fantasy points aplenty. We already established Davis represents a new weapon in the Titans red zone attack, but more importantly, he has the chance to ascend to the No. 1 role between the 20s as well. The Titans have long lacked a true No. 1 wide receiver, but Davis has the measurables and the productive background to be just that. If the Draft Capital (selected No. 5 overall) isn’t enough of an indication, his Division I FBS record 5,278 yards should be. Corey accounted for 43-percent of Western Michigan’s market share of receiving yards and 58-percent of the market share for TDs in 2016. He lined up at split-end the majority of the time, showing good ability to get off the line using his size and speed, but he was also effective in the slot and at the flanker position. The Titans should be able to move him around freely within their offense but expect him primarily to be split out wide as the “X” receiver, featured as the focal point of their passing attack. At 6-3, 209-pounds with 33-inch arms, Davis has the body type to compete at the next level at that position. Rishard Matthews can move to his more natural position as the flanker and Taywan Taylor has a great chance to ascend to the slot role, with his elite agility and quickness. Suddenly the Titans are a pretty formidable offense. History isn’t on Corey’s side for instant impact at the next level. Outside of a few rare cases (albeit happening more often in recent times), it is unlikely that a receiver breaks out in standard scoring for his rookie season. It certainly isn’t out of the question (See: Beckham, Evans, Thomas, Moss). But it is unlikely. With that said, given the team fit, I would put Davis’ rookie ceiling higher than most. 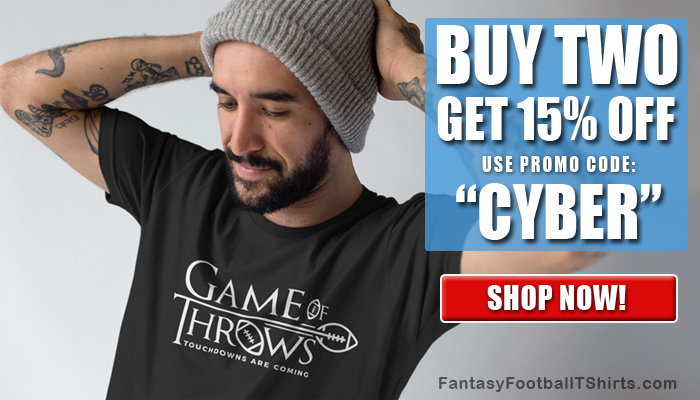 You never want to put too many eggs in a rookie wide receiver’s basket for standard scoring leagues though. Take him as a mid-round flier with upside after you have established a strong wide receiver core. Dynasty is a different story. It would be hard to talk me out of taking him 1.01 in rookie drafts. I am slightly concerned about the ankle injury, but Davis is young and seems to be back to full health, so it wouldn’t deter me from drafting him. The Titans were comfortable taking that gamble at No. 5 overall, so I’m comfortable taking him at the top of my rookie draft. In startup dynasty leagues I would probably take him in the third or fourth round, but not any higher. A little too much uncertainty there to spend a first or second round pick on him. Let’s face it. We have seen excellent prospects fizzle out at the next level over the years. It’s not out of the question. With that said, Corey Davis doesn’t feel like a candidate for that. He appears to display above average athleticism on film and has the build and route experience to play the primary role in an NFL offense. He’s paired with an efficient quarterback that throws with great accuracy. In an offense that can run the ball effectively and beat you with many different weapons. It takes a lot of the pressure off of Corey and should make his transition to the NFL much easier. Corey Davis is statistically the best college receiver we have ever seen. All factors considered, Davis has the highest future fantasy floor with the highest fantasy ceiling. You would be hard pressed to find a rookie in a better situation. Corey Davis is the best fantasy prospect in this NFL draft class, and you’ve probably never seen him play. You might not get to before draft day either. The Western Michigan standout underwent ankle surgery in January, forcing him to miss both the Combine and CMU’s pro day. No signs point to an eventual pre-draft public workout either. But that might not be a bad thing. The setback may force him to fall in dynasty rookie drafts. Which could give savvy owners an opportunity to strike on a guy that could have been No. 1 overall had we seen how his metrics stacked up at the NFL Combine. Watching the film on Davis, he immediately reminded me of Brandon Marshall. He was ultimately about 20-pounds too small for that comp though. After watching some tape of Amari Cooper and comparing their measurements and college production, I could make the case for Cooper as a stronger comp. He’s not as good a route runner as Cooper, but he’s not bad in that department by any means. He struggles a little bit against zone coverage, but was excellent against man and still managed to be very effective (as evidenced by his stats) against multiple defenders. He’s good at making plays in traffic, but probably body catches the ball more than he should. Although when you see some of the one-handed catches he comes down with, it takes away any concerns about his hands. The thing that really likens him to Cooper is his speed. I would have loved to confirm it with a 40-time, but it’s pretty evident on film that Davis has elite speed. Probably not quite on par with Cooper, who blazed with a 4.42 40 at the Combine, but still great for his size. He was a YAC monster at CMU, taking quite a few screens and posts to the house and showing a knack for creating something out of nothing throughout his college career. Cooper is most impressive in that same regard, possessing excellent vision in the open field, with elite agility and burst. At the end of the day, for any rookie, the team fit is paramount when determining a quick ascent to success. The Saints were in need of an heir to Marques Colston, desperate to find a red zone threat to fill the void Jimmy Graham left behind. Michael Thomas was perfect for that role. The fit was ideal. Where Corey Davis ends up will go a long way in determining how quickly he impacts the NFL. It’s one thing for him to be tethered to Marcus Mariota for the next decade. It’s another to be tethered to whoever the Jets trot out at quarterback. Many mocks feature the Titans taking a chance on Davis and I personally love the fit. The Titans have long lacked a true flanker, “Z” receiver to lead its air attack. I’m sure they would love to pair Mariota with an elite, young No. 1 option. Outside of the Titans, the Bills, Saints, Ravens and Lions could all spend a first round pick on a wide receiver. Landing on the Saints would be favorable to his fantasy upside in the near future, but leaves the long-term outlook uncertain as Brees approaches his 40s. Still, I don’t think anyone would complain about that outcome. The Lions would be the best of both worlds. Pairing Corey with a proven veteran QB that still has a lot of mileage left on his tires, in Stafford. On the other hand, Davis going to the Bills or Ravens would be disappointing. It’s not Corey Coleman to the Browns bad, but it’s definitely not good. 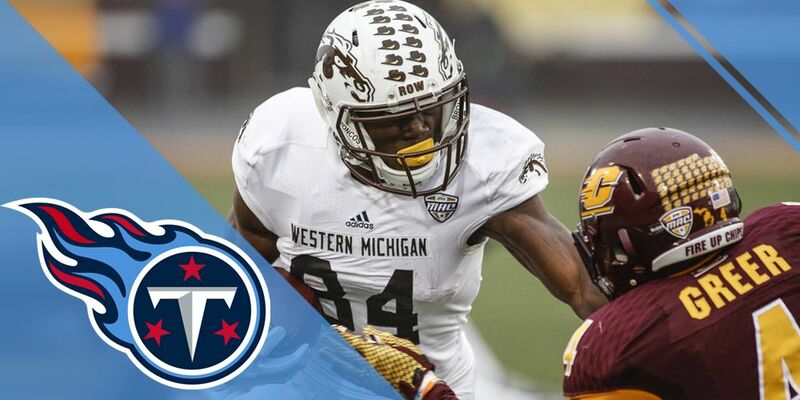 Corey Davis is by no means a surefire All-Pro at the next level. His measurables won’t blow you away. He doesn’t have A.J. Green’s height or Julio Jones body mass. He doesn’t have Dez Bryant’s arm length or Odell Beckham’s hand size. We think he’s fast, but there’s no 40-time to back our suspicions. All in all, he’s a gamble. But you can only play the cards you are dealt. By the eye test, Davis pops. And his college statistics are in a class of their own. We’re talking about the all-time leader in receiving yards in FBS history. The all-time leader! 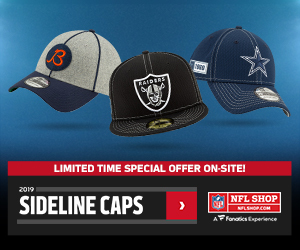 It would be easy to play it safe and settle for someone else on draft day, but you run the risk of passing on the next great wide receiver of this generation. It’s not a lock by any means, but is it ever? Leonard Fournette and Dalvin Cook have upside, but running backs are a dime a dozen with limited shelf lives. 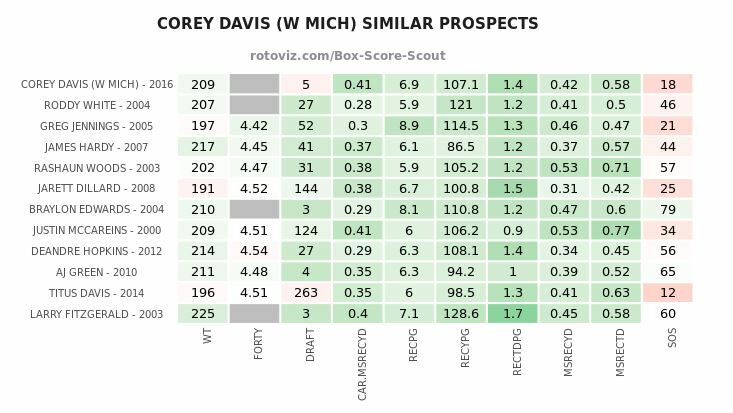 Corey Davis has a high floor with perhaps the highest ceiling of any player. If I have pick 1.01 in a rookie draft, you better believe I’m taking Corey Davis.